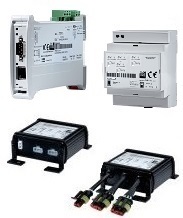 This serie of products allows to integrate a CAN network with an Ethernet net. 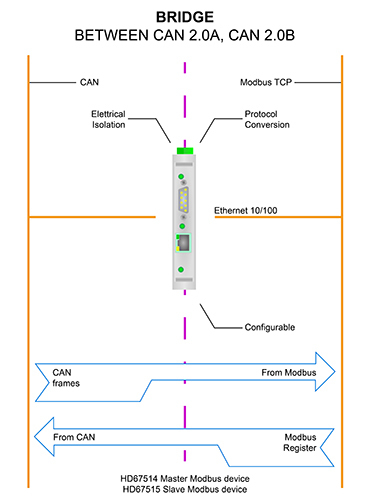 On Ethernet side, it is possible to use Modbus TCP protocol or generic Ethernet communication. 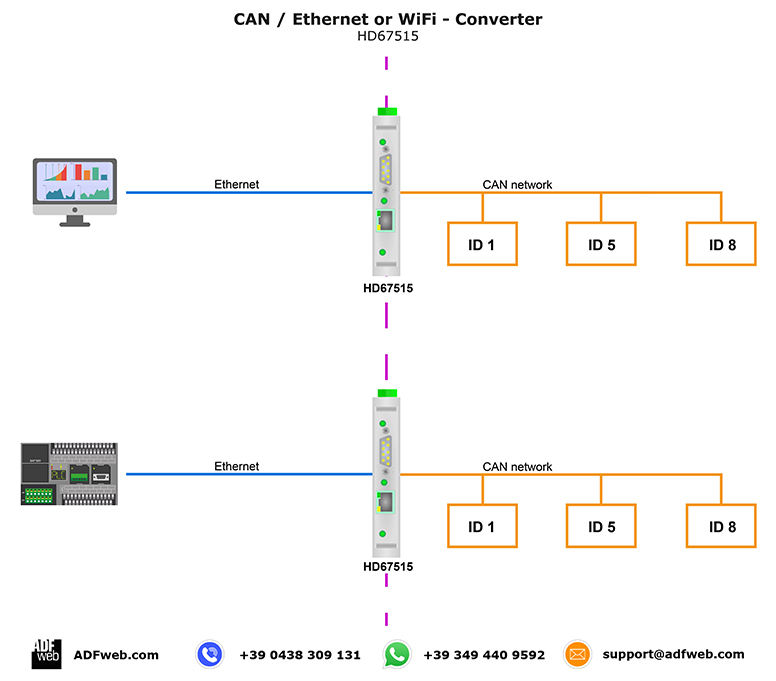 The HD67644 is a CAN / Ethernet Converter and it allows you to connect some CAN devices with an Ethernet net (for example a PC, Supervisory System...) in order to exchange the informations between the networks. The HD67514 is a CAN / Modbus TCP Master Converter and it allows you to connect some Modbus TCP slaves with an existing CAN network. 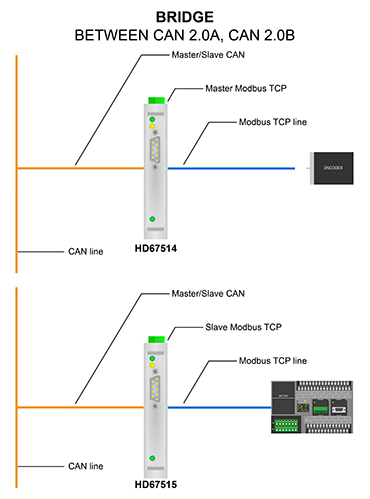 The HD67515 is a CAN / Modbus TCP Slave Converter and it allows you to connect a CAN network with a Modbus TCP Master (for example a PLC, SCADA...) in order to exchange the informations between the networks. These converters are contained in a metal housing, so it is STRONG and RESISTANT to the vibrations and shocks. The electrical parts are with triple isolation of 4000 V between CAN/Ethernet - CAN/Power Supply - Ethernet/Power Supply.